Last year was filled of tragedies, natural disasters and heartbreaks but 2017 was also the year many heroes emerged to step up and remedy the devastations. From city officials to everyday folks, dozens of locals bettered their communities and even saved lives. In the last year alone, we faced raging wildfires, children getting trapped in vehicles on hot days and the mass shooting in Las Vegas – all to which first responders and civilians acted upon to help others. Orange County’s aviation support unit saved three teenagers who were trapped on a steep cliff in Lake Forest and it was Los Angeles County’s Rescue Team Five who saved a 16-year-old who was stranded at the mouth of Sturdevant Falls. Los Angeles Firefighters were battling harsh flames from the La Tuna Fire in Los Angeles to the devastating Napa Fire in Northern California. In addition, they also fought the unforgiving Thomas Fire, which had grown to be the state’s largest wildfire in recorded history. 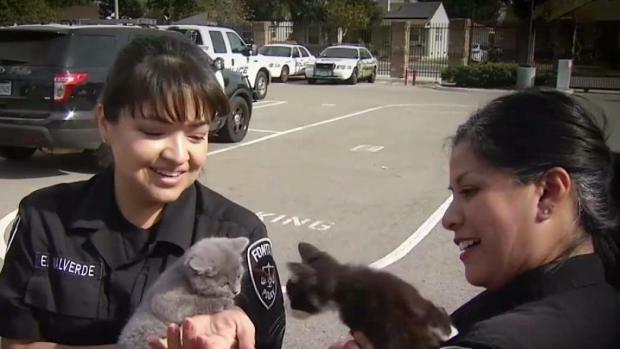 The Fontana Police Department has a unique task force dedicated to rescuing animals from abusive situations, making sure the animals find their happily ever after. Kathy Vara reports for the NBC4 News at 4 p.m. on Friday, Nov. 17, 2017. Pasadena firefighters were even deployed to deliver aid to the victims of Hurricane Irma. Not all heroes were officials, however. One brave soul who rescued numerous people during the Las Vegas massacre before he was shot was Orange County resident Jonathan Smith. Thanks to a pair of Los Angeles Recycling workers, a baby was saved on a very hot day after her mother accidentally locked her keys inside her car with the child still in it. Being a hero doesn’t mean just saving lives – it also means making a positive difference in someone’s life. Such example stems from Chino Valley firefighter Shane Stocking, who befriended 9-year-old cancer survivor Vincent Dominguez. The two are inseparable and while Dominguez’s family have said Stocking has been a great friend, the child says he’s found the perfect role model and aspires to be a firefighter when he grows up. "I hope that one day I'm still on this truck behind me and I hope that Vincent’s sitting next to me," Stocking said. 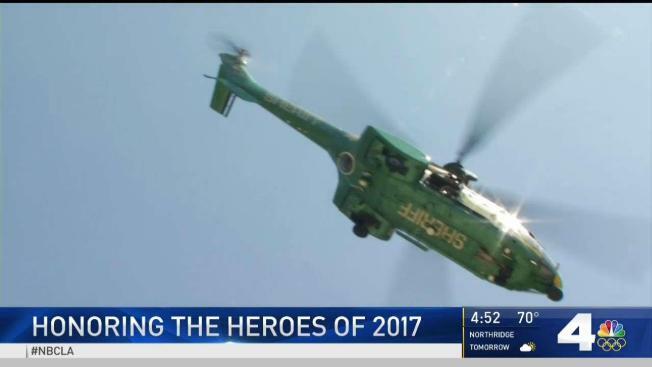 To all the heroes who have saved lives, bettered their community and continue to be positive influence, NBC4 thanks you.